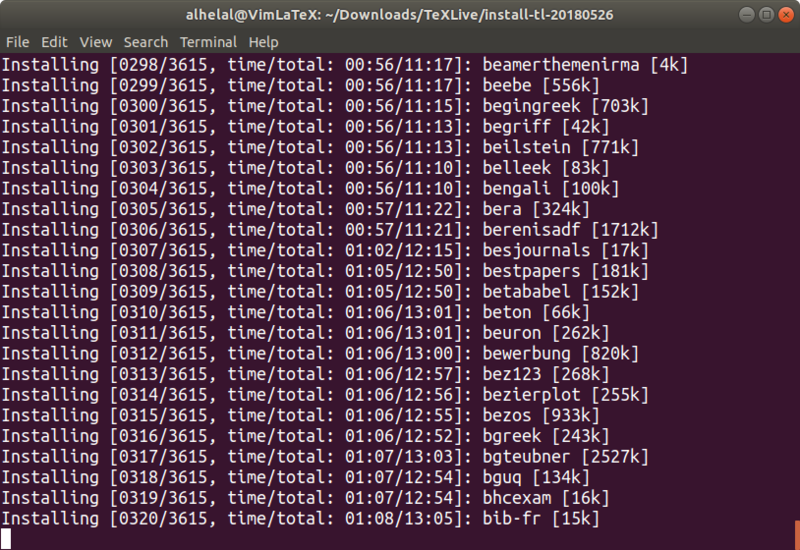 How can I install texlive after running rsync with a CTAN mirror? Note: Please treat it kindly. I untar install-tl-unx.tar.gz that produced install-tl-20180526. Now, which command I have to run to install texlive? I tried ./install-tl that was installing from internet. There is no need to untar the installer, it is already in the same folder as the tar.gz file, just run ./install-tl then run from the base tlnet folder (often just the root of the tlnet that have been rsynced), the installer will automatically pick up the local repo and use it. There is no need for any options. Not the answer you're looking for? Browse other questions tagged installing texlive-2018 or ask your own question. How to install texlive in another system from where rsync is used to download texlive? How to install the package “slashbox” using tlmgr?